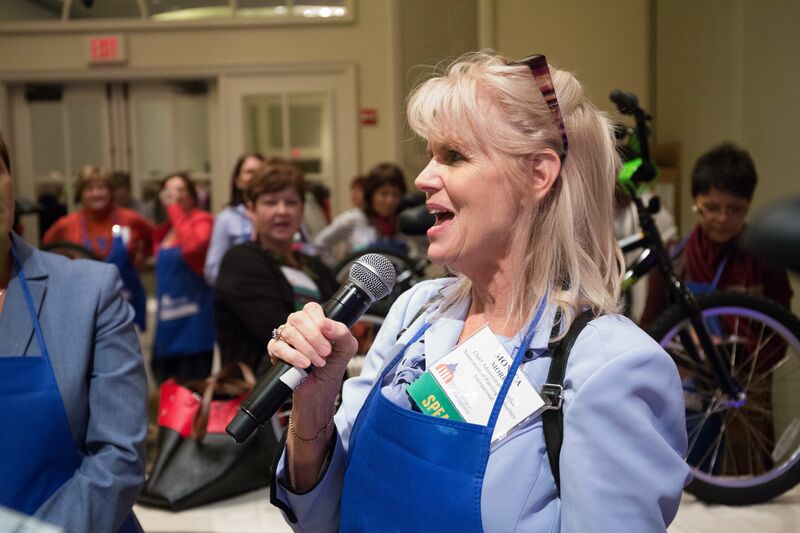 To be effective, a transformational team-building event requires excitement and challenge. The Building Bikes, Empowering Children program has both, with a few intriguing twists that’ll leave everyone cheering. 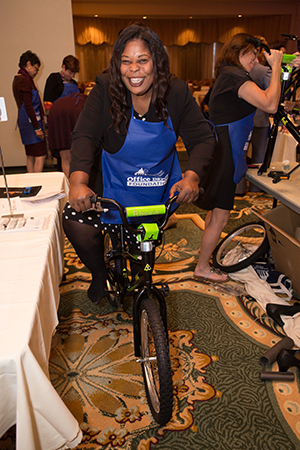 The Building Bikes, Empowering Children program has become a favorite feature at corporate events across the country. This program partners with local children’s non-profits (such as local Boys and Girls Clubs). Children earn their bikes through essay contests and reward programs, giving them an empowering sense of achievement and pride. And best of all, the children make a surprise appearance at the event to receive their prizes. This unique activity provides an opportunity for your team members to learn something about themselves, the group, and your organization; connecting them with what is really important. 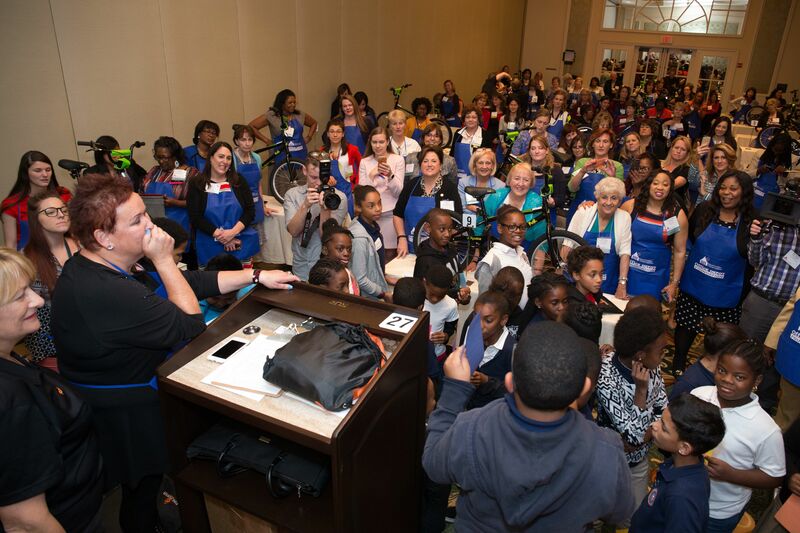 It’ll inspire and motivate participants to be the very best they can be, and the “pay-off” – the moment that seals the experience – is seeing the beaming faces of the children when they receive their bikes! 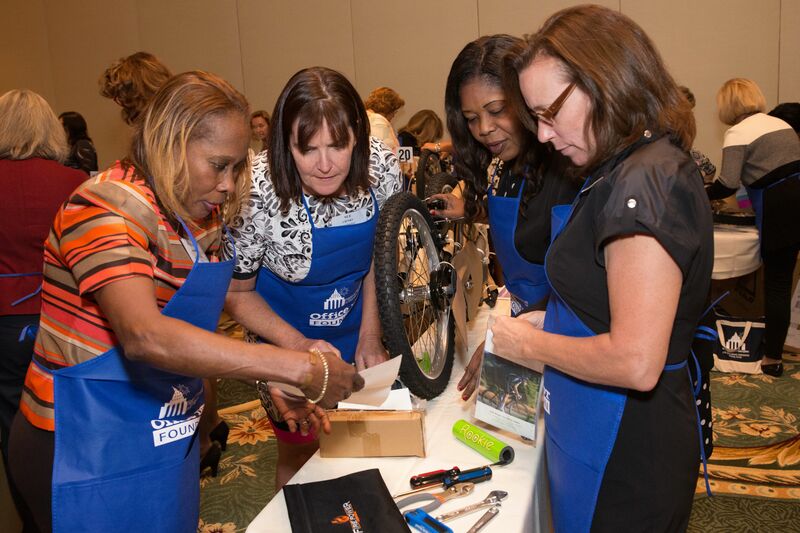 Participants assemble bikes as teams, believing they’ll be competing in a race against each other. 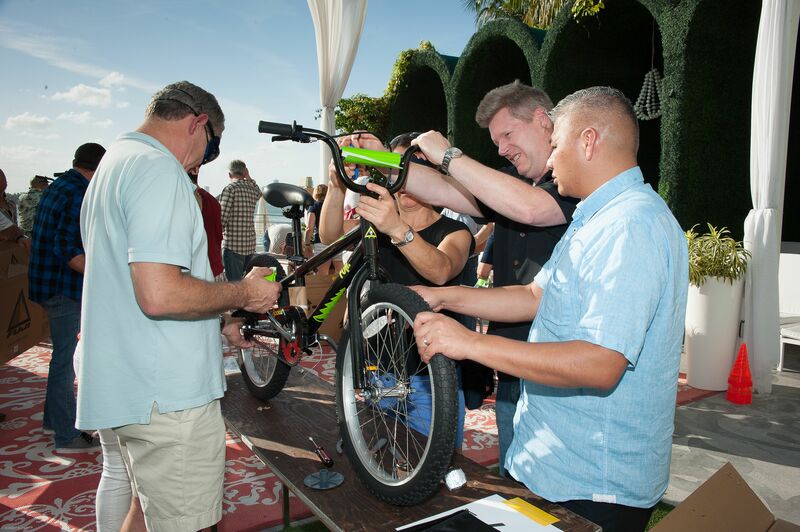 In reality, each team is building a bicycle for a bike-less, deserving child. For most children, this will be their very first bike! The goal for each team is to assemble a bike in race-ready condition within a given time frame. 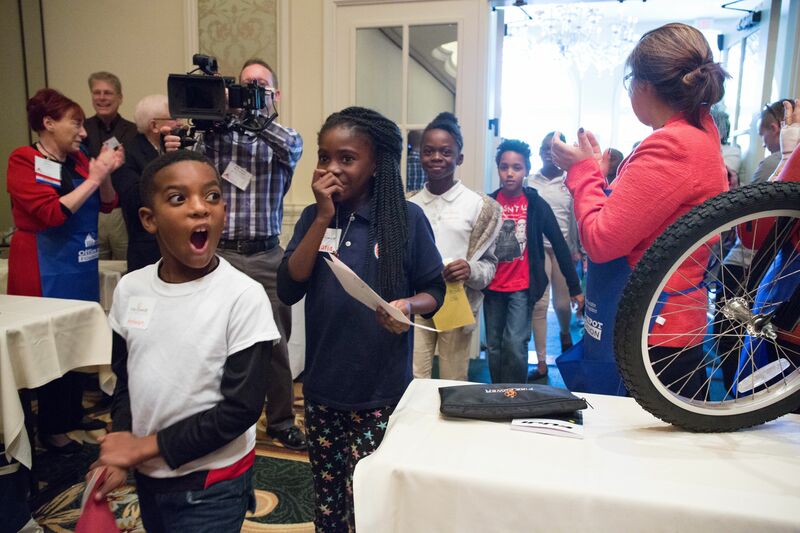 Imagine everyone’s surprise when the children burst into the room and your team realizes they actually built bikes for deserving children. 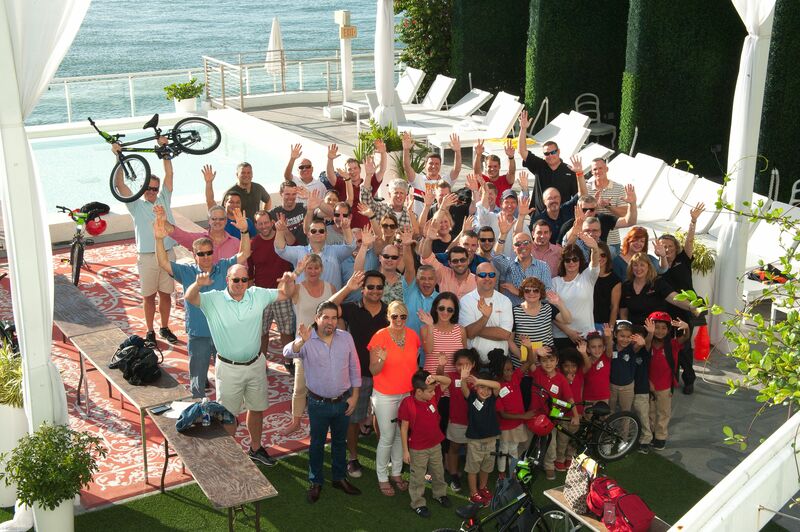 Building Bikes, Empowering Children affords your team members the shared experience of bringing a child pure joy. It takes a standard team-building activity to a whole new level. Team Building. Communication skill improvement. Empowerment of the team and children in the community. Giving back to the local community. These are powerful memories that’ll last a lifetime. 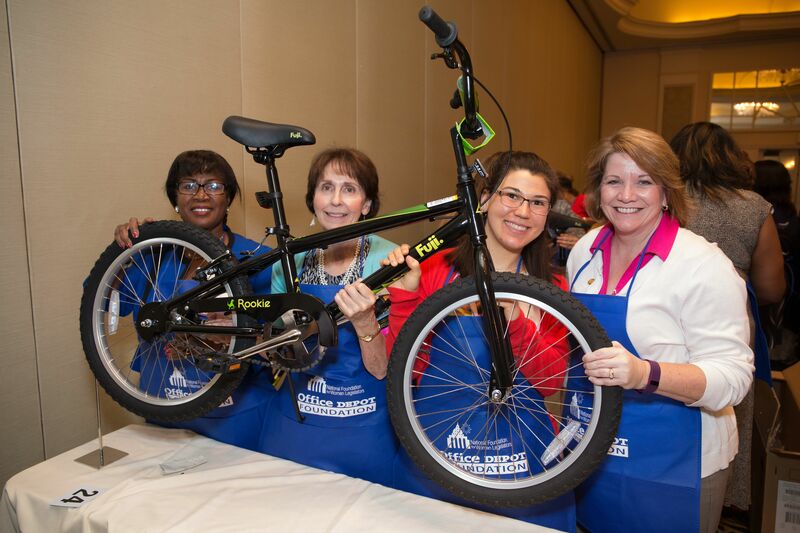 Building Bikes, Empowering Children is a win-win on so many levels! Schedule a team-building event that impacts your team AND gives back to the most important members of your local community — children. You can’t imagine the rewards! 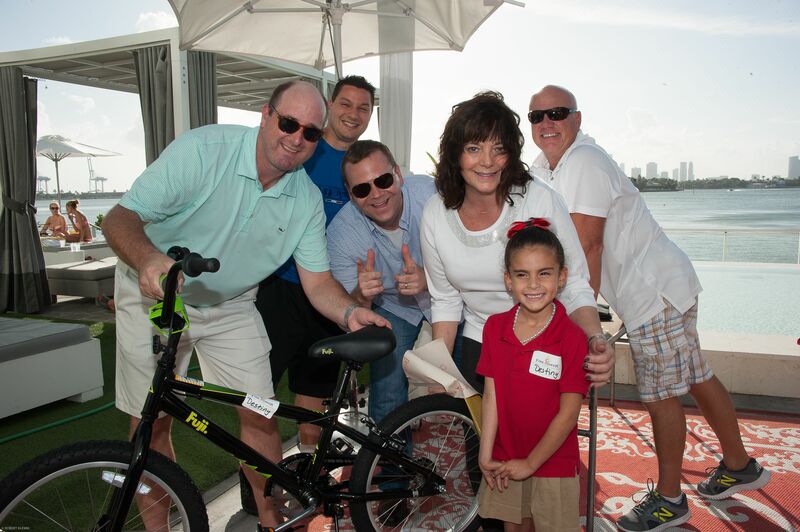 So, if you’re seeking a rewarding team building event that impacts your team and gives back to the most important members of your local community – children – Building Bikes, Empowering Children delivers! 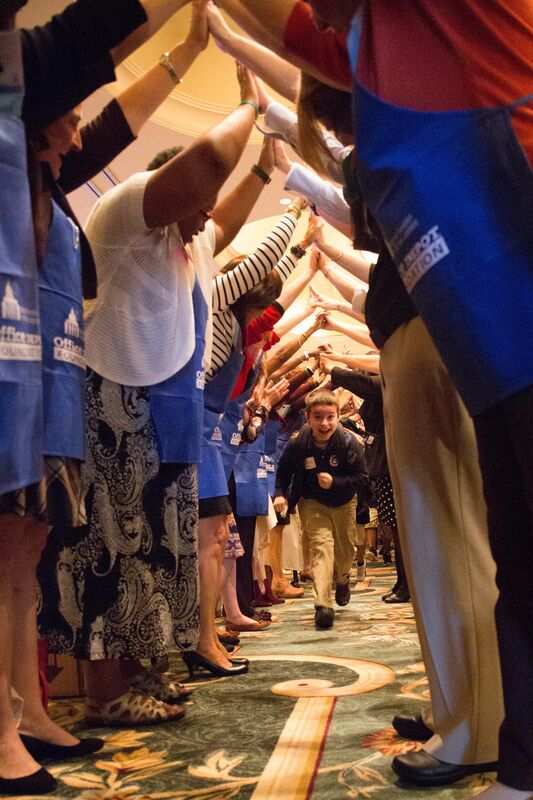 Contact us to learn how you can give your team an experience they’ll remember for a lifetime.